Located in Káto Pavliána, Infinity Villa provides accommodations with a private pool, a terrace and mountain views. 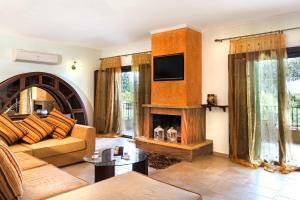 Offering free WiFi, the property also has a seasonal outdoor swimming pool, a fitness center and barbecue facilities. 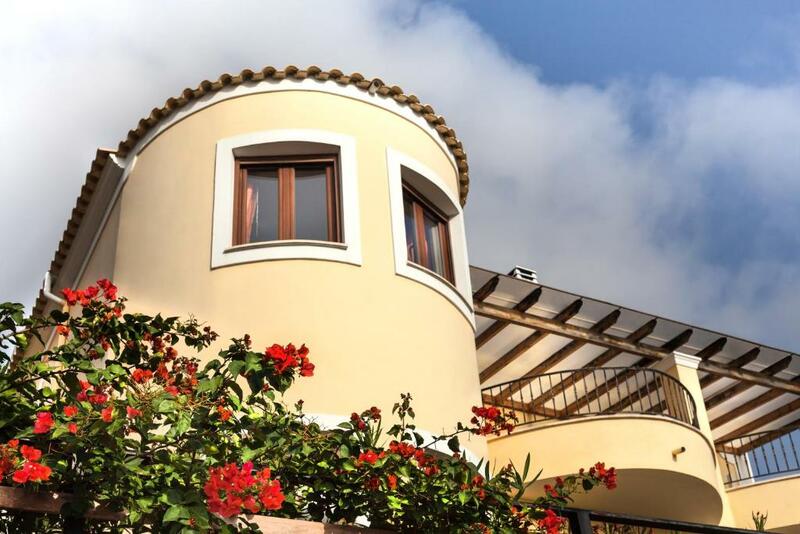 The villa features 4 bedrooms, a kitchen with a dishwasher and an oven, a washing machine, and a bathroom with free toiletries and a hair dryer. A flat-screen TV is offered. At Infinity Villa guests are welcome to use a hot tub. A car rental service is available at the accommodation. 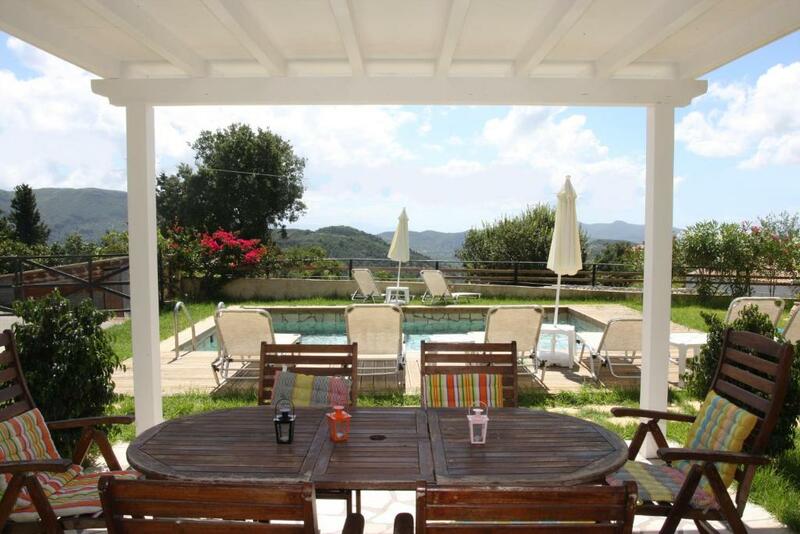 Corfu is 11 miles from Infinity Villa, while Glyfada is 12 miles from the property. 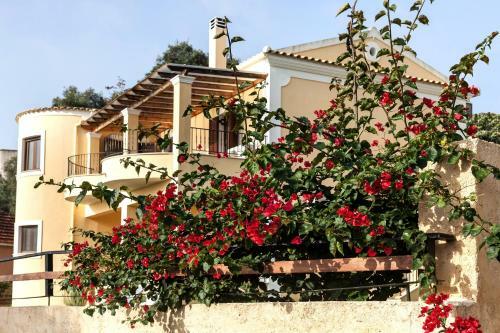 The nearest airport is Ioannis Kapodistrias Airport, 10 miles from the villa. When would you like to stay at Infinity Villa? This villa features a balcony, dishwasher and air conditioning. The villa is built in respect to the traditional Corfiot Architectural style and features extensive grounds both indoors and outdoors. 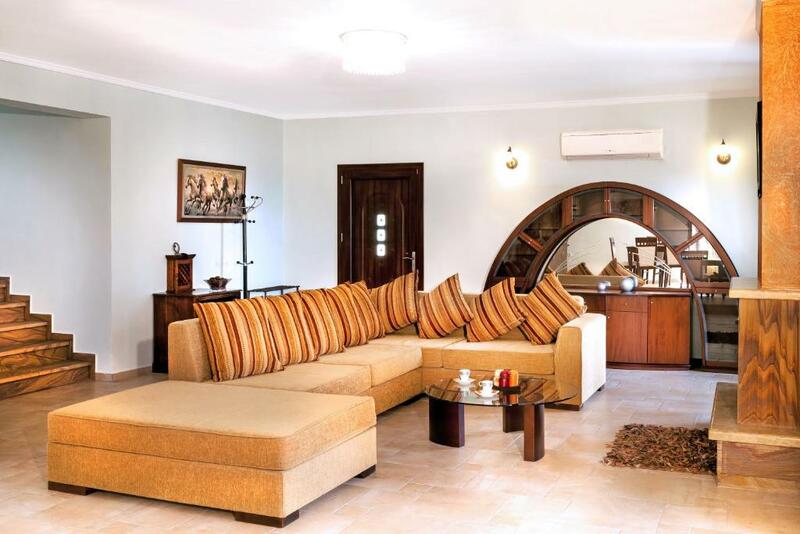 It can accommodate up to 8 guests with 4 bedrooms and 3 bathrooms, and is an idyllic place for a relaxing holiday for all the family or for groups of friends keen to leave everything behind for a while. 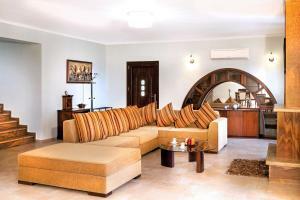 The villa is furnished with dark wooden furniture and minimal, yet elegant decoration. Features very spacious rooms and indoor spaces, huge open plan kitchen (fully equipped) with dining area that can easily sit 10 guests, large living room with adobe fireplace, large verandas that open out to the countryside, large and brand new bathrooms and a small gym (for those who wish to leave everything behind except their daily work-out!). 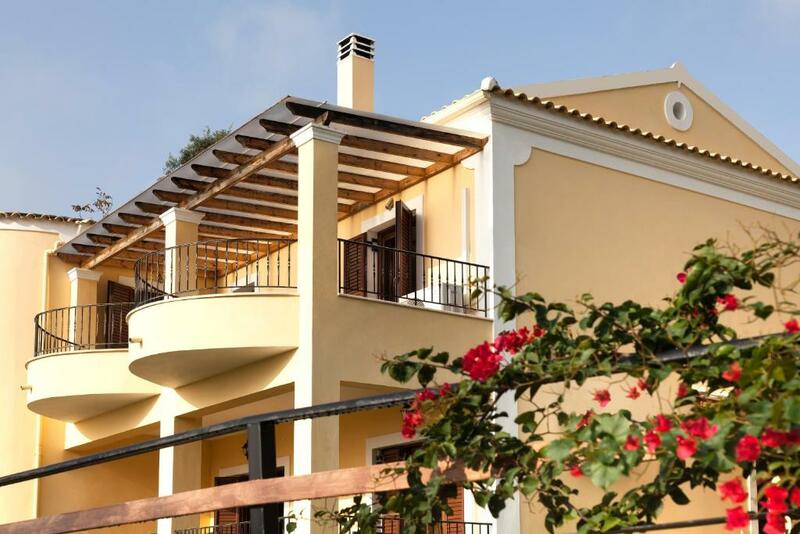 The interior marble stairs lead to the upper floor where there are 3 bedrooms and another 2 bathrooms that open to a share shaded-pergola veranda with stunning views to the countryside and the surroundings. The garden is well maintained and has a small dip pool and sun loungers in order for the tenantsto luxuriate in their beautiful surroundings. Parking for 2 car seats is also available within the property premises. Hostlab Ltd, the Laboratory of Hospitality - Our team is a well tuned Hospitality Orchestra at your service! The village of Kato Pavliana is located on the slopes of the mountain Pavliana, from where it took it's name. Both Ano & Kato Pavliana are characterized by old stone houses and narrow neighborhoods in a vast green background, that invite you to make a walk and gaze the traditional architecture. The combination of the wild mountain nature with the chance to take advantage of the crystal clear waters of the Ionian Sea, that is just a few minutes away, make Infinity Villa the ideal scenery for your relaxation! Kato & Ano Pavliana are bordering with Pentati village, Saint Matthew and Garouna, where you can find shops & restaurants. 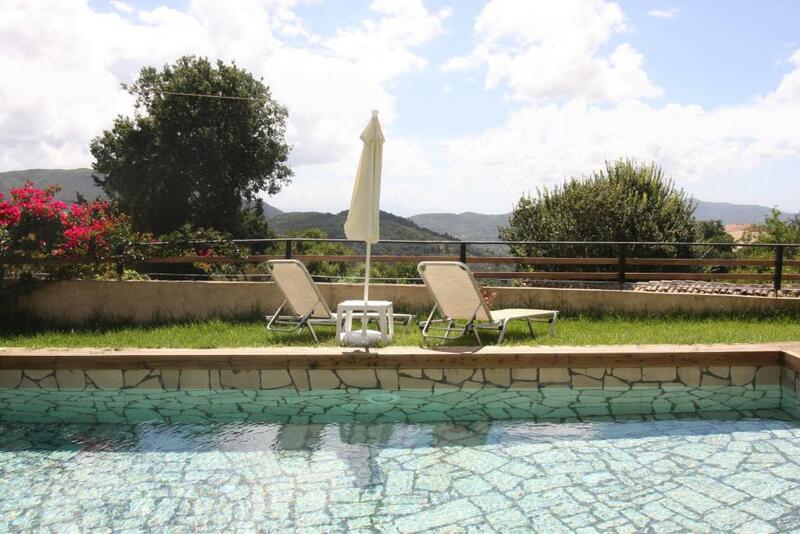 The nearest beaches are at about 5 Km away (Agios Mathaios & Agios Gordios), while Corfu Town is 18 Km away. House Rules Infinity Villa takes special requests – add in the next step! Infinity Villa accepts these cards and reserves the right to temporarily hold an amount prior to arrival. We need at least 5 reviews before we can calculate a review score. If you book and review your stay, you can help Infinity Villa meet this goal. Very friendly and helpful host. The villa is absolutely beautiful. The mattress in the second guest room could be better. WIFI signal was weak on the second floor. Nice view from the middle of the island. Very kind host. Quiet and cozy. Children enjoyed the pool and play area in the backyard.